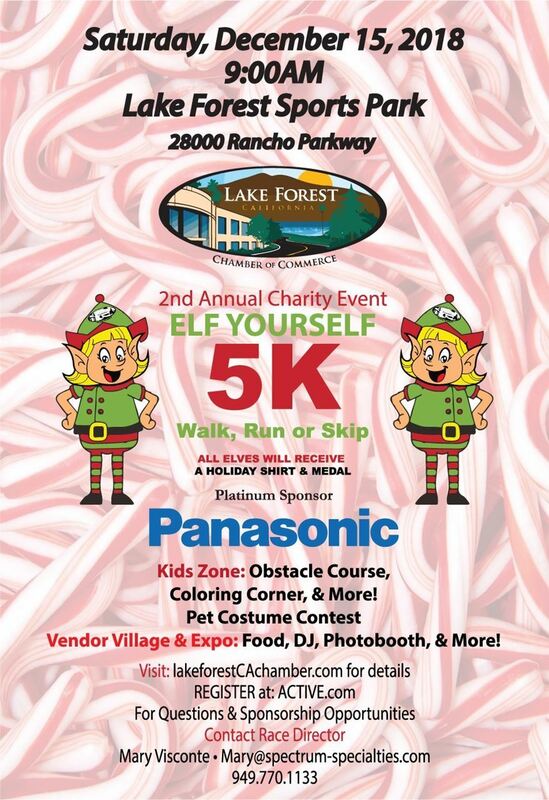 We’ll be at the Lake Forest Sports Park, Saturday December 15, 2018, for the Second Annual Lake a Forest Chamber of Commerce Elf Yourself 5K and festivities. The Pet Adoption Center of Orange County will host a Pet Parade/Costume Contest at 10:30 am. Prizes will be awarded for Best Holiday-themed Costume, Best owner-pet lookalikes, and Most Creative Costume. You don’t have to sign up for the 5K to participate in the festivities. Dress up your pet and come join us!